In light of the recent riots across Briton we see, thanks to our collaborating partners at PhotoVoice, the view from the ground. Perspectives on what it means to be young and marginalised in the nations capital, the LookOut London project has put cameras into the the hands of those most affected. The Photographic Angle will soon be touring this prominent and very worthwhile body of work. ‘As David Cameron talks about ‘declaring war on gangs’ and the public looks for simple targets to blame the criminal activity that took place during the spree of rioting and looting in August, the perception of young people in Britain is in danger of falling to a new low. Despite the fact that fewer than a quarter of those charged for criminal activity during the riots were under 18, the media coverage and political responses have been filled with references to ‘feral youth’ and ‘violent teenagers’. 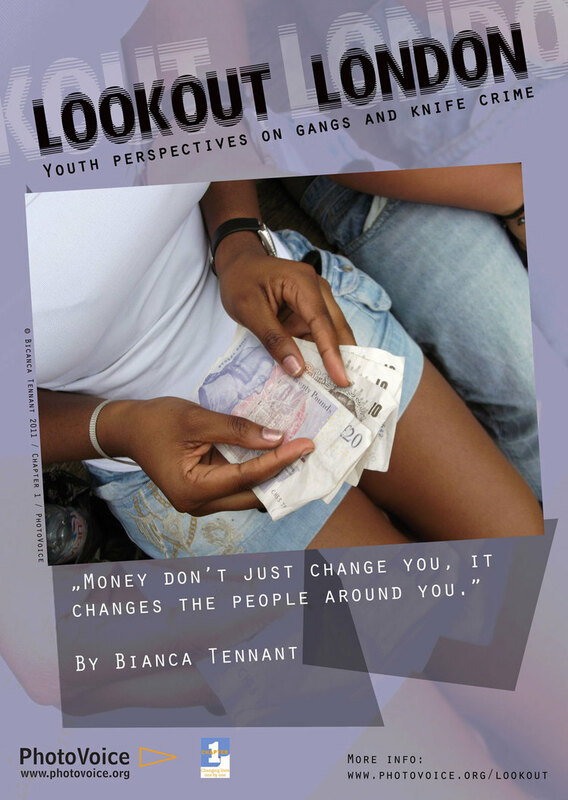 The issues of gangs and knife crime have gained media prominence once again as if they are connected to the same simple problem – the existence of a disrespectful, uncontrollable and lawless generation.